I figured I'd start this topic for vehicles with 4 or more axles and don't necessarily deserve their own thread. That second one is interesting. Any more info? Sorry, no. I just saw it browsing through the photos at the link. According to the caption, its a "Firebee drone"
Yeah, but most of the things in the Teledyne Ryan section are captioned that and most of them are certainly not! I think it's safe to say that caption is unreliable in this case. 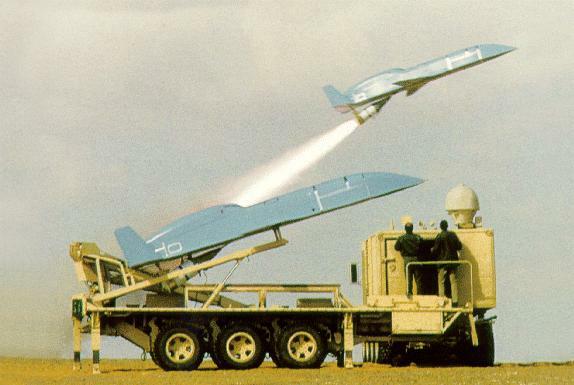 It is Teledyne Ryan's Model 324 Scarab UAV - it was custom-designed in response to Egyptian Air Force requirements. BTW, the 324 Scarab LRV was done by Standard Manufacturing Co. Same guys that did the better-known 8x8 DARPA ALV (Autonomous Land Vehicle) and, on a smaller 8x8 scale, the Vulcan-armed Excalibur 'dune buggy'. "The [Model 324 Tactical Reconnaissance RPV] system's Launch and Recovery Vehicle - an eight-wheel all-drive tractor with a six-wheel, self-drive trailer - integrates all mission support functions. A crew of three can provide all requirements. The basic mover was developed by Standard Manufacturing Company. six hours. The system was designed for mission flexibility with operational use from forward areas and unprepared sites. 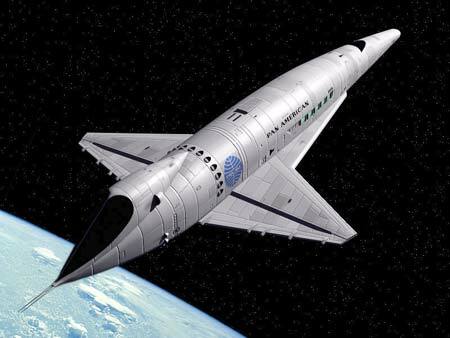 It can be transported by air or over land with its air vehicle intact." It's a cool-looking vehicle but I'm surprised that the Egyptians didn't spec a Tatra-based LRV. This seems to be a neat new 8x8. SYHK Turkish Mobile Floating Assault Bridge. WOW. 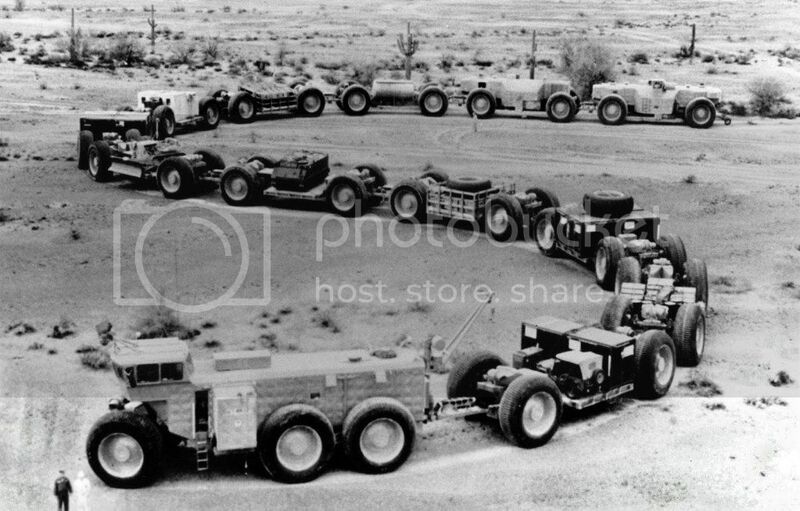 Severely cool looking 8 wheelers. That Twister is pretty cool looking with lots of potential for other variants, too. A Twister kit would be great too. I so want one of those dune buggies with the Vulcan!!!! Hmmm....wonder what a tracked version would look like? Wonder what it would look like with USMC on the side?! Mobile AA defense for a beach landing! 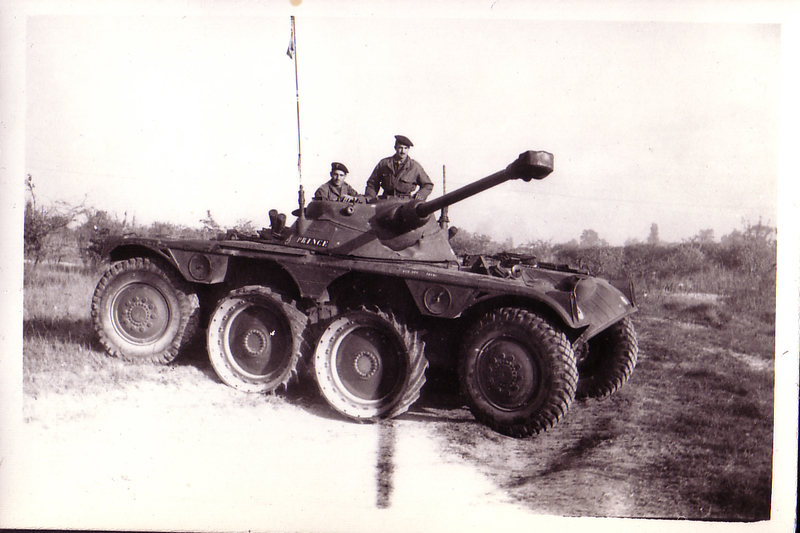 There is also the Panhard EBR...soon to be released as a new model kit! That T-55 "Cook Interceptor" has a lot of potential as a US WWII tank destroyer. 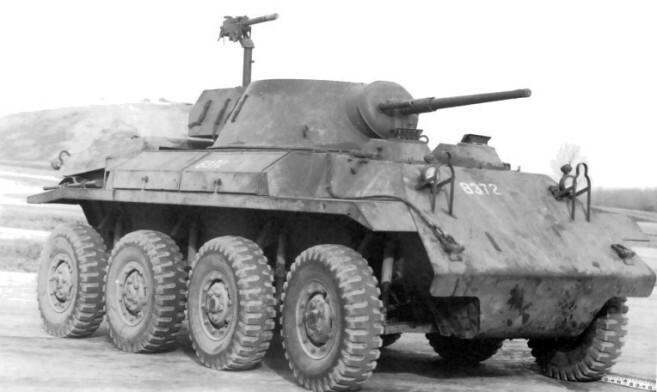 Or as a infantry carrier: replace gun with fully armoured infantry comparment, give it side doors, and Greyhound turrent, and you have modern-style wheeled AFV. One and the same. 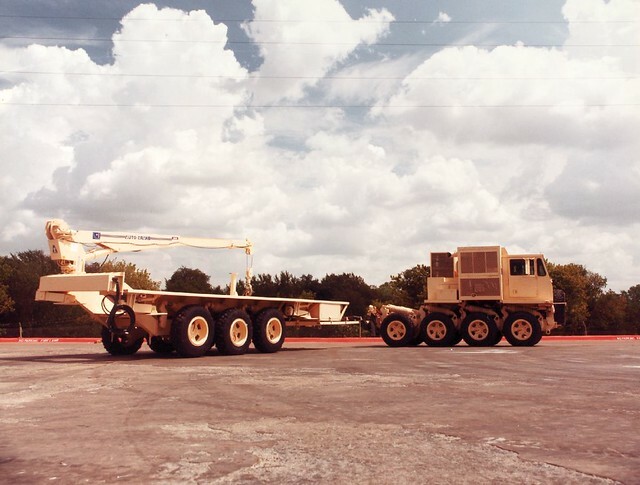 GPV (formerly General Purpose Vehicles LLC) sold its 8x8 Captain design (longer than the 6x6 Captain but shorter than the 8x8 Colonel) to FNSS. That Turkish company had/has US connections. 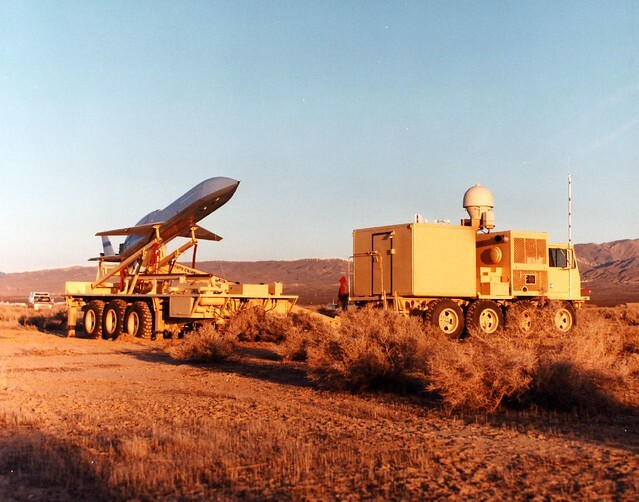 The origin name was FMC-Nurol, being a joint venture between FMC (which became United Defense, US Combat Systems, and then BAE) and the Turkish Nurol Group of Companies. They didn't really think that set of names through, did they? "Well I'm just going to get into my Colonel now.."
"Help, my General's upside down in a ditch!" "Can you fill my Captain up please?" "My Commander needs a new spare tire." The Teracuriser was originally to tow/launch the Mace missile -- a great kit for building as intended or whiffing -- The Terror-Cruiser !! ideas ?? It was also used as a transporter at U.S. Antarctic bases. Here's a couple of former Czech military 8x8 machines I photographed yesterday at a museum in Vyskov, which is a bit north east of Brno. The US Army's LeTourneau TC-497 Overland Train Mark II of Project OTTER [Overland Train Terrain Evaluation Research] in 1962. The idea was to provide cross country logistics but was replaced by heavy lift helicopters. Inspired the sci-fi Amtrak Wars Wagon Train. first one .... "Honest, officer. They told me to just follow the guy in front !!" Your last attachment just screams to have a steam locomotive instead of the diesel-electric rig that is in the image. "Quick! Circle the Waggons! They're attackin'!" Random idea: Spähpanzer Luchs (see below) but with either a bigger gun (75mm or 90mm?) or ATGM. Attached are the seating arrangements of the GPV Captain (top) and the GPV Colonel (bottom). Which brings me one question- what role would the GPV Colonel be suitable for? Ah huh, a simple option would be an export module with the M-3 Bradley turret including TOW, although I think a 60mm HVMS turret would look cool. Another option could be the 76mm Otomelara. A Cadillac-Gage 90mm (either Mecar or Cockerill) might fit the Luchs, although I haven't checked the turret ring diameters. Good find :) I wonder, was that the same Oerlikon-Bührle GDD-BOE turret fitted to the Mowag Shark? Doesn't the Luchs lack the space to carry reserve missiles though? No idea. Do you have a picture of the Shark? I wouldn't surprised as Mowag appears to have mounted multiple different turrets on their vehicles. 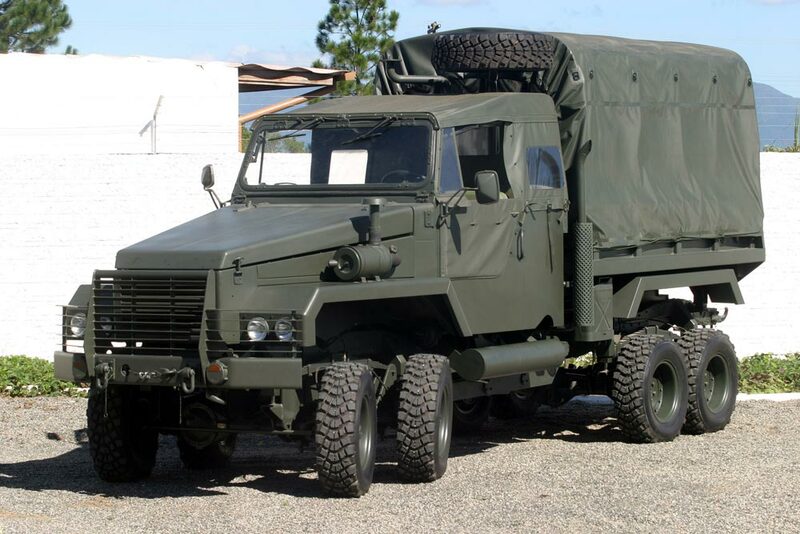 Brazilian "Octopus" 8x8 truck prototype which appears to have been abandoned early on. Featured "computerised" control of the drive to the wheels. No kits available that I am aware of though definitely cool looking. Type 16 otta get around fine long as mud/snow aint too boggy/deep. Can’t be Nitto, they ceased production ~ 1990. Aoshima has a 1/72 kit of the prototype. I wasn't aware that Nitto had ceased production. 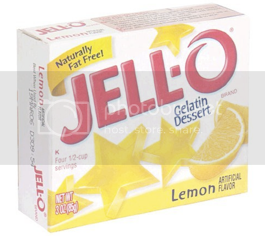 However, that is the one I was thinking of. Apparently the JSDF aren't happy with this vehicle and are already thinking about replacing it with an electric powered one, based on a 6x6 prototype they're playing with. Re-post from the tank destroyer thread due to the vehicle being an 8x8. Bismarck, one of the three Rooikat proposals. 42 tons, Olifant turret (and later possibly TTD turret). Recently I came across this. 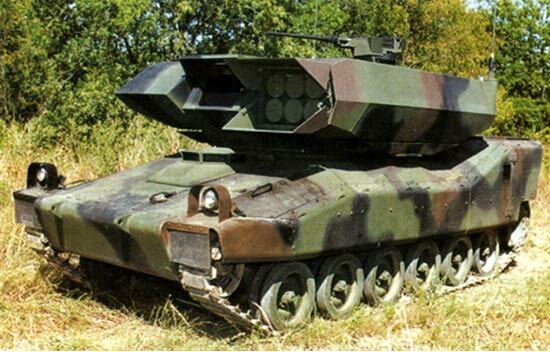 I like the idea of a quad TOW or Hellfire launcher (since I don't know if there is actually space within the Luchs for a meaningful missile reload, 'might as well carry as many missiles at ready as possible); the RIwP carries two but is armed with a co-axial machinegun, offering some degree of protection against, say, enemy infantry at close range. That's one BIG box of badness, that is! 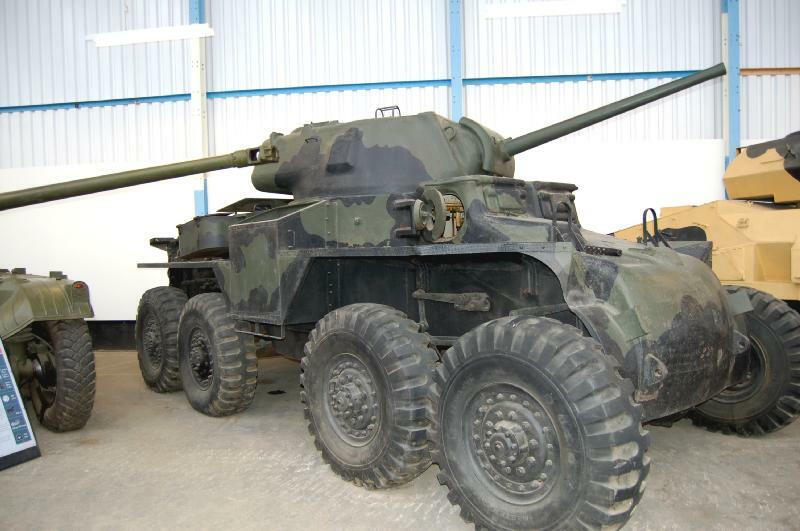 Would the 105mm GIAT G1 gun (used by the SK-105 and allegedly AMX-13 105 refurbishment) be within Panhard EBR's handling limit, or would the 90mm GIAT F3/F4 or Cockerill Mk. 8 gun be a better bet? Top and Middle: French-designed VBCI "UAE Configuration", with the turret of BMP-3 (contract is instead won by a variant of the Turkish ARMA). The Terrex 2 is an amphibious armored personnel carrier. It was developed by Singaporean Technologies Kinetics to meet a US Marine Corps requirement. The US Marines were looking for a new 8x8 amphibious armored personnel carrier, which would replace the ageing LAV-25 series of armored vehicles. For this task the Singaporean Technologies Kinetics teamed up with Science Applications International Corporation (SAIC) of the United States as an expediter for the US market. The Terrex 2 evolved from the original Terrex, but has a number of improvements and significantly improved amphibious capabilities. It was first publicly revealed in 2015. 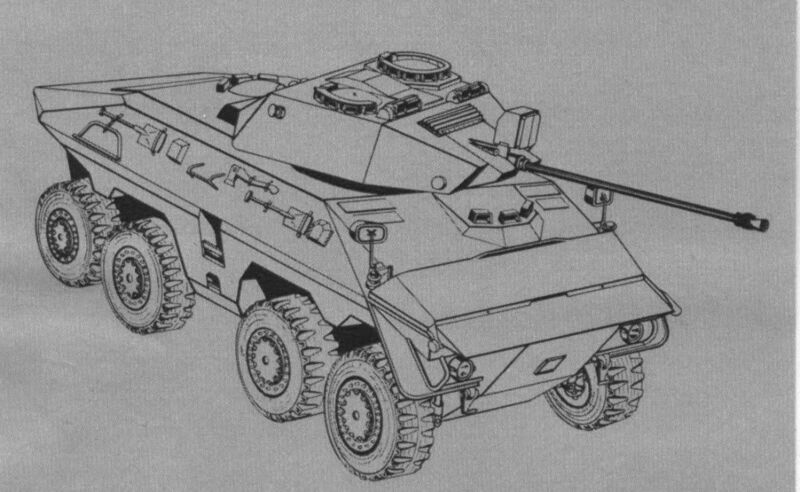 However the Terrex 2 eventually lost competition to a modified IVECO SuperAV, offered by BAE Systems, which was adopted by the US Marine Corps as the ACV. Hull of the Terrex 2 was specially shaped for improved buoyancy and higher speed on water. Requirements of the US Marines are particularly stressed on water speed and reserve buoyancy of the new armored vehicle. The Terrex 2 has a double V-shaped hull design for protection against landmines and improvised explosive devices. Similar hull configuration is present on the original Terrex. The Terrex 2 can be armed with various weapons. A baseline armored personnel carrier configuration can be fitted with a remotely-controlled weapon station, armed with a 12.7 mm heavy machine gun. It can be also fitted with heavier weapons, such as a two-man turret, armed with a 30 mm cannon. The Terrex 2 is operated by a crew of 2, including driver and vehicle commander and can carry 12 dismounts. Troops enter and leave the vehicle via rear ramp with integral doors. Also there are roof hatches for emergency exit. This armored vehicle is equipped with an all-round surveillance system for 360° view and navigation system. Driver's compartment has a customizable touch screen interfaces. This amphibious armored personnel carrier is powered by a Caterpillar C9.3 turbocharged diesel engine, developing 600 hp. There is also a Euro version, which develops 525 hp. Engine is matted to Allison automatic transmission with 6-forward and 1-reverse speeds. Suspension of the Terrex 2 has adjustable ride height. Vehicle has advanced driveline with all-wheel steering capability. It results in a superior maneuverability and tight turning radius. This armored vehicle is fitted with a central tyre inflation system, which improves mobility over difficult terrain. Also it is equipped with run-flat tyres. The Terrex 2 can still travel with one or in some cases even more wheels completely destroyer. On water this armored personnel carrier is propelled by two waterjets. Maximum amphibious speed on water is 11 km/h. Vehicle can operate up to Sea State 4 conditions. The Terrex 2 can be transported to operations theater by amphibious assault ships or airlifted by military cargo aircraft. Proposed variants of the Terrex 2 include a baseline armored personnel carrier, command vehicle, engineer vehicle, and armored ambulance. Terrex 3 is a non-amphibious, but better protected and more heavily armed version. It was specially tailored to meet Australian requirement for a versatile combat reconnaissance vehicle. The Terrex 3 was proposed for Australians as the Sentinel II. Though eventually this armored vehicle was shortlisted from this program. The Terrex 3 is a new armored personnel carrier, developed by Singapore Technologies Kinetics. It is a further development of the previous Terrex 2. This armored vehicle was specially tailored to meet an Australian requirement for an armored reconnaissance and combat vehicle. The new Terrex 3 lost amphibious capability of the Terrex 2, but carries more armor and has heavier armament. Prototypes of the Terrex 3 were built in Ireland by Timoney, which is now a part of Singapore Technologies Kinetics. The Terrex 3 was first publicly revealed in 2016. It was proposed for Australians as the Sentinel 2 for their armored reconnaissance and combat vehicle program. Though eventually this armored vehicle was shortlisted from the Australian program. 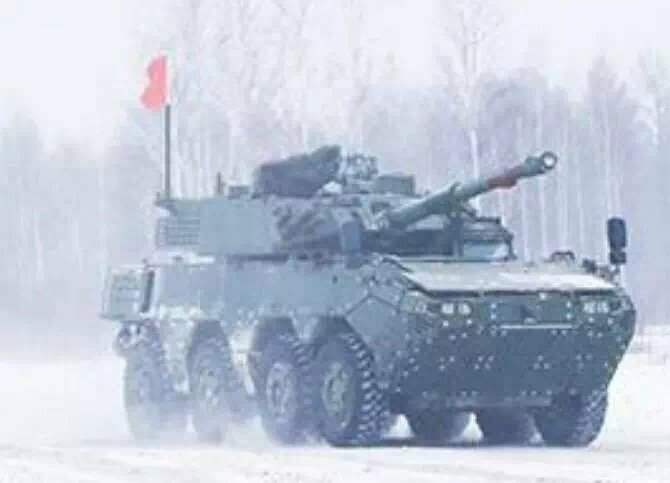 This new armored vehicle weights 35 t. In terms of firepower and protection the Terrex 3 can be even considered as a wheeled infantry fighting vehicle. Vehicle has a double V-shaped hull design for protection against landmines and improvised explosive devices. Similar hull configuration is present on the original Terrex and the previous Terrex 2. This armored vehicle is fitted with an Israeli Elbit two-man turret. It is armed with a 30 mm cannon. There is a provision for a coaxial 7.62 mm machine gun. Depending on customer requirement the Terrex 3 can be equipped with anti-tank guided missiles. 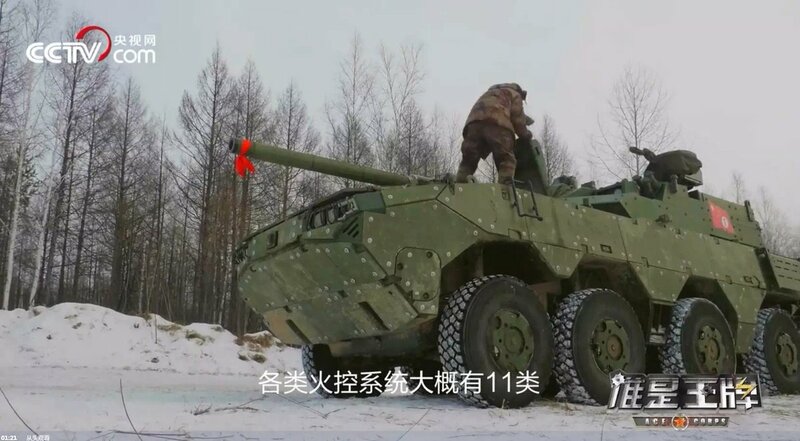 This armored vehicle can also carry lighter armament, such as a remotely-controlled weapon station, armed with a 12.7 mm machine gun. The Terrex 3 is operated by a crew of 3, including commander, gunner and driver. Vehicle can carry 10 fully-equipped dismounts. Troops enter and leave the vehicle via rear power-operated ramp with integral doors. Also there are roof hatches for emergency exit. It looks like the Terrex 3 is powered by a Caterpillar C9.3 turbocharged diesel engine, developing 600 hp. Engine is matted to Allison automatic transmission with 6-forward and 1-reverse speeds. Suspension of the Terrex 3 has adjustable ride height. This armored vehicle is fitted with a central tyre inflation system, which improves mobility over difficult terrain. Also it is equipped with run-flat tyres. The Terrex 3 can still travel with one or in some cases even more wheels completely destroyed. The Terrex 3 lost its amphibious capability due to increased weight. The new vehicle is nearly 10 t heavier than the previous Terrex 2. The LAV 700 armored personnel carrier was developed by General Dynamics Land Systems, of Canada. It is an improved and modified version of the LAV 6.0. It has a larger hull, is better protected and can carry more payload. Also the LAV 700 is fitted with a more powerful engine. Saudi Arabia ordered 900 of these new armored vehicles in various versions. Production of the LAV 700 commenced in 2017. The LAV 700 has a different hull that its predecessor. 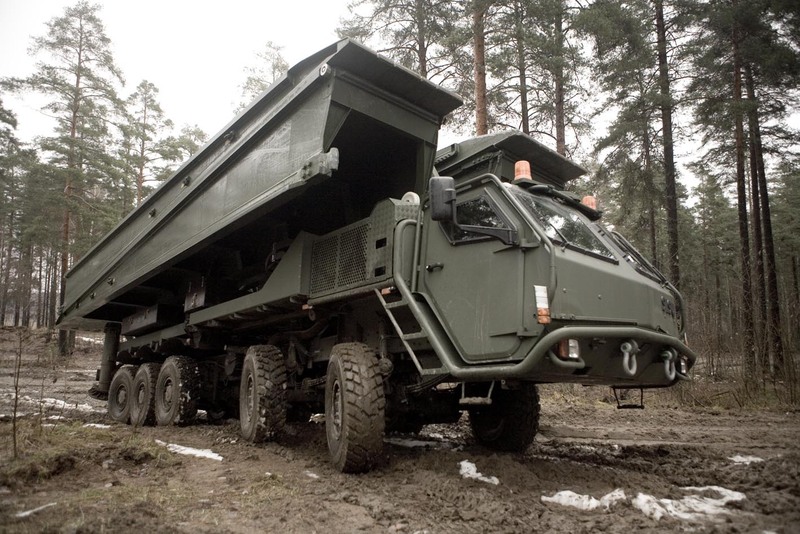 This armored vehicle weights 21 000 kg and has a payload capacity of 11 000 kg. So the LAV 700 has growth potential. It can be fitted with various turrets and add-on armor kit for a higher level of protection. This vehicle can be fitted with ceramic add-on armor kit for a higher level of protection. So ballistic protection is scalable, depending on the threat. It is estimated that maximum level of all-round protection is against 14.5 mm armor-piercing rounds. It is estimated that front arc withstand hits from 30 mm cannons. Cage armor can be installed for protection against anti-tank rockets. Vehicle is fitted with automatic fire suppression and NBC detection systems. Though NBC protection system with overpressure is optional. Also there is a laser warning system and shot detection system. This vehicle can be even fitted with active protection system. 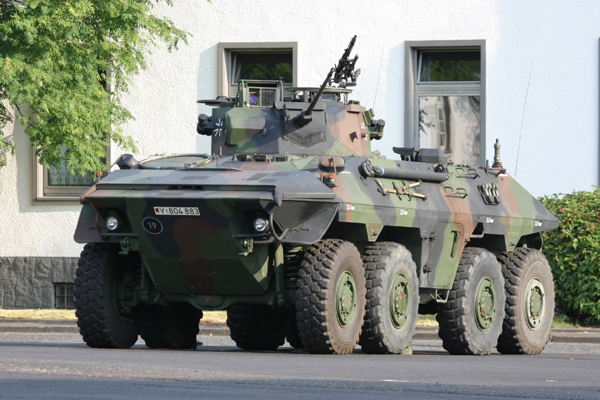 The LAV 700 has a double V-shaped hull for protection against land mines and improvised explosive devices. Furthermore this vehicle has adjustable ground clearance, which can be raised to the highest level when the vehicle is crossing areas where mine threat is high. Crew and dismounts are seated on energy absorbing seats. 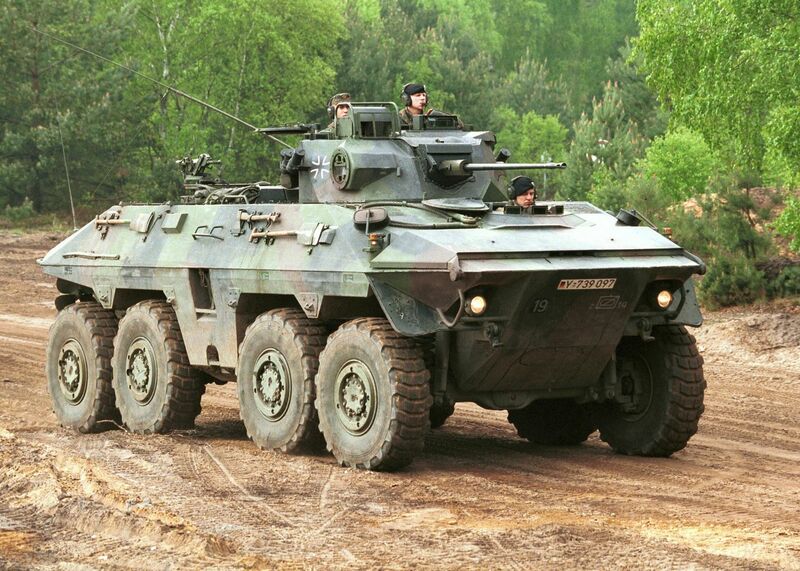 Currently the LAV 700 is one of the most protected armored personnel carrier in the world. Once fitted with a powerful armament, it can be even considered as a wheeled infantry fighting vehicle. 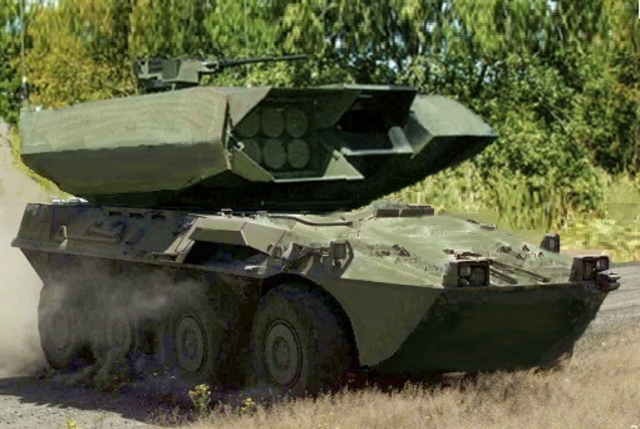 The LAV 700 can be fitted with various turrets or remotely-controlled weapon stations. A baseline version is fitted with a 12.7 mm machine gun. 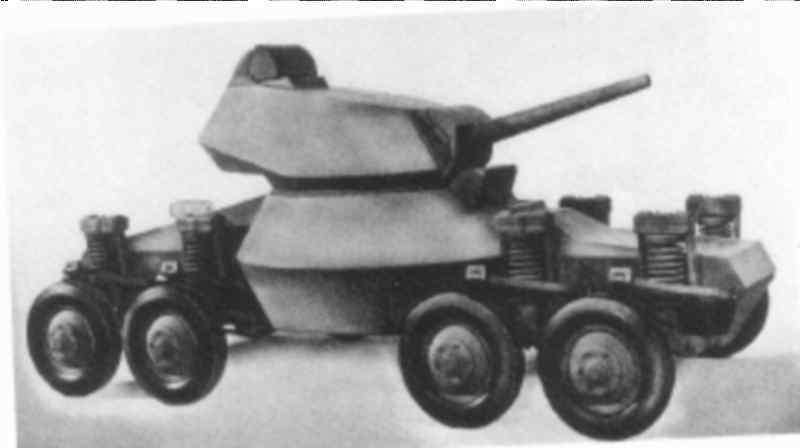 This vehicle is proposed with 30- or 40 mm turrets. This armored personnel carrier accommodates around 6-8 dismounts. Troops enter and leave the vehicle via a rear power-operated ramp. Also there are roof hatches for firing or emergency exit. The LAV 700 is powered by a Caterpillar C13 turbocharged diesel engine, developing 711 hp. It is a huge improvement over 450 hp engine of the LAV 6.0. The engine is mated to an Allison automatic transmission with 7-forward and 1-reverse speeds. This vehicle retains its driveline and independent hydropneumatic suspension system of the LAV 6.0. Ground clearance of the vehicle can be selected from the driver's position. On hard surface roads it uses 8x4 configuration for maximum range, while 8x8 configuration is engaged over difficult terrain and off-road. Two front axles are steerable. 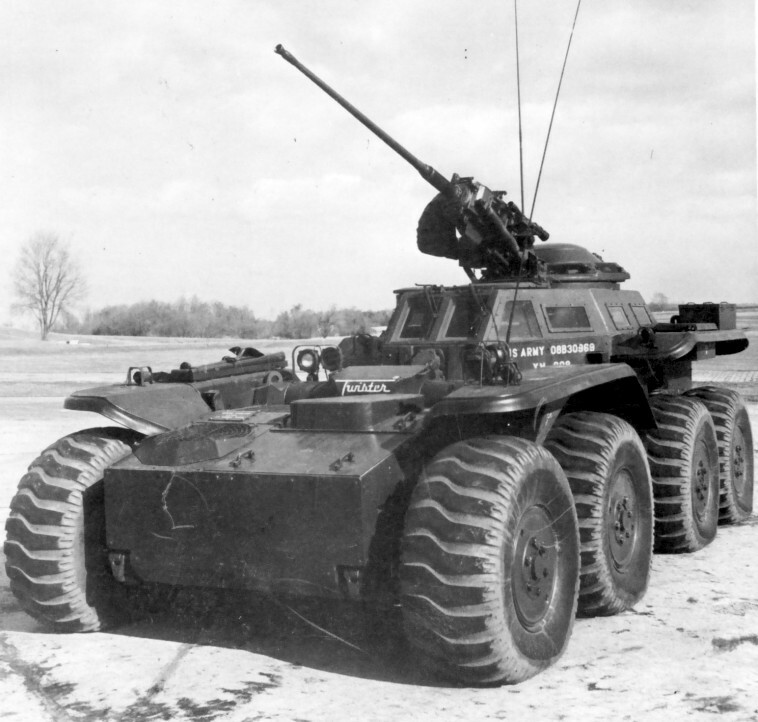 The LAV 700 is fitted with a central tyre inflation system and run flat tyres. This armored vehicle can be airlifted by a C17 Globemaster III or Airbus A400M military transports. LAV FSV is a so called Fire Support Vehicle version. It is armed with a turret-mounted 30 mm cannon. By its function the LAV FSV is closer to a wheeled infantry fighting vehicle. Command post vehicle, fitted with a raised roofline over the rear compartment. This version is fitted with a remotely controlled weapon station, armed with a 12.7 mm heavy machine gun. There is also another roof-mounted and shielded 7.62 mm machine gun. A demonstrator was fitted with satellite communication equipment. Mortar system with a 120 mm turreted mortar. This vehicle is intended for indirect fire support. Fire support vehicle with 90- or 105 mm turret. This vehicle is intended for direct fire support. The Eitan (Herbew for persistent) is a new Israeli Armored Personnel Carrier (APC). It is currently being developed to meet requirements of the Israel Defense Forces (IDF). It is the first wheeled 8x8 APC, developed in Israel. The IDF plans to replace gradually its tracked M113 APCs with a new armored vehicle. A prototype of the Eitan was first publicly revealed in 2016. It is planned that this prototype will be tested within the following years. Its full-scale production could commence in 2018. 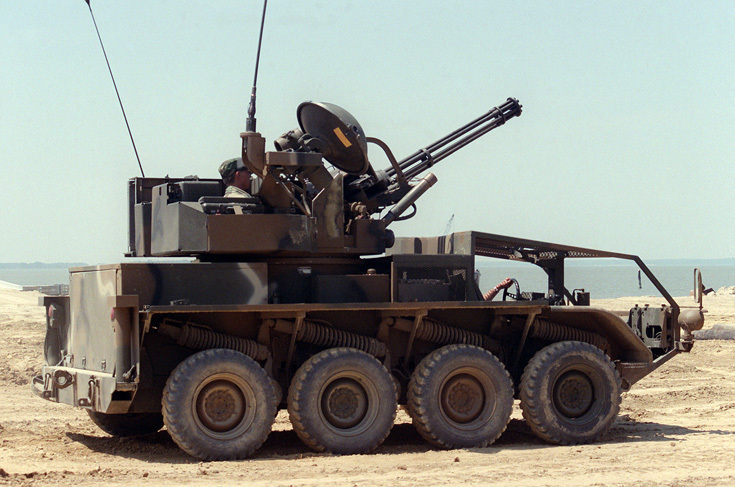 Prototype of the Eitan is fitted with a remotely controlled weapon station, armed with a 12.7 mm machine gun. There is also a pintle-mounted 7.62 mm machine gun. Though most likely that other weapons, such as 30 mm or 40 mm automatic cannons, will be also available on production version of the Eitan. The Eitan has more internal space than the M113. It is operated by a crew of 3 and can carry 9 soldiers. Troops enter the vehicle and dismount via a rear power-operated ramp with integral door. This APC is powered by a turbocharged diesel engine, developing 750 hp. Vehicle is fitted with a central tyre inflation system, which improves mobility over difficult terrain, such as sand. Tyres are fitted with run flat system. For a limited range of up to 16 km the Eitan can travel on deflated tyres. Though when the tyres are flat maximum speed is limited to 50 km/h. This vehicle is not amphibious. In 2017 Japan has revealed a prototype of a next-generation 8x8 Armored Personnel Carrier (APC). It was designed to replace the Type 96, which is in service with the Japan Ground Self-Defense Force (JGSDF) since 1996. The project is known as Wheeled Armored Vehicle (Improved). The prototype of the new APC was built by Komatsu. Its construction commenced in 2015. It was first publicly revealed in 2017. Originally it was planned that development will be completed in 2018. However recently it was announced that development will be completed only in 2021. Full scale production could start following the trials. Comparing with the previous Type 96, the new Japanese 8x8 APC is longer, taller, much heavier, better protected and faster. It has more internal volume and higher payload capacity. The new Japanese APC was developed as a modular vehicle. A swappable mission module can be fitted at the rear of the hull. There could be modules for different purposes. So a basic chassis can be configured as infantry carrier, command vehicle, ambulance, supply carrier and so on. Though this concept is not new. The Dutch/German Boxer, which entered service back in 2009, also has modular structure. The new Japan's APC will have improved protection over the Type 96. It has a steel armor hull with add-on armor. Vehicle has a V-shaped hull for improved protection against mines and improvised explosive devices. Passive protection systems include a laser warning device, that can trigger smoke grenade dischargers. This vehicle is fitted with NBC protection system. So far the prototype carries no armament. It is believed that a new remotely controlled weapon station is being developed for this armored vehicle. Eventually the baseline APC could be armed with a 12.7 mm machine gun, 40 mm automatic grenade launcher, or even more powerful armament. In its basic form this new Japanese APC has a crew of 3 and can carry 8 dismounts. Troops enter and leave the vehicle via the rear power-operated ramp with integral doors. There are roof hatches for firing or emergency exit. The new Japanese APC has a more powerful engine than the previous Type 96 APC. It is powered by a Komatsu 10.8-liter diesel, which develops approximately 500 hp. Engine is located in the middle of the hull. This APC has got a hydropneumatic suspension with height adjustment. The prototype demonstrated impressive agility. This armored vehicle can attain a maximum speed of 100 km/h. Vehicle is fitted with a central tyre inflation system. It improves mobility over various types of terrain. This new APC with not loose mobility when any one of the wheels is damaged or completely destroyed. In some cases it can even keep on moving with two wheels missing. This new Japan's APC is not amphibious. Recently a new 8x8 armored personnel carrier appeared in the North Korea. This armored vehicle is already in service and is produced in quantity. Little information is available on this new armored vehicle. Its official designation is also unknown. Sometimes it is referred as M2010. Recently North Korean army acquired a number of BTR-80A APCs. Some sources report that 32 units were acquired. It looks like the new North Korean 8x8 APC is a clone of the BTR-80A with some modifications. Also it is known that North Korean army operates older BTR-60PB 8x8 APCs. 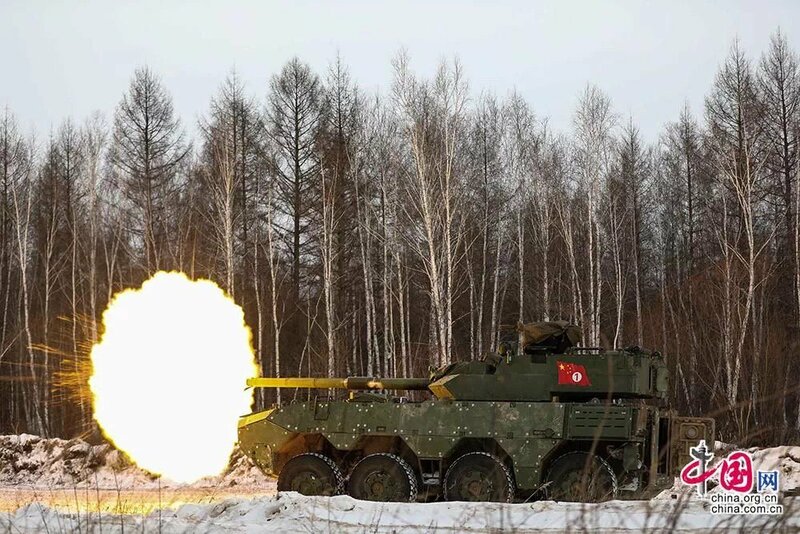 The North Korean 8x8 APC is fitted with an indigenous turret. The same turret is also used on some other North Korean armored vehicles. It is armed with two 14.5-mm machine guns. It is believed that two heavy machine guns are used not for higher density of fire but in case one fails another will keep on firing. Also there is a coaxial 7.62-mm machine gun. Weapons have high elevation angles and can engage low-flying helicopters. During parades this APC is sometimes additionally fitted with a man-portable air defense missile. Vehicle has a welded hull and turret. It is estimated that front arc withstands hits from 12.7-mm rounds, while all-round protection is against 7.62-mm rounds. There is a door on either side of the hull. Doors are different than those used on the Russian APC. There are a some firing ports provided for the troops. It seems that first production vehicles had more firing ports and most of them were removed from later production vehicles. This armored vehicle has a crew of three, including commander, gunner and driver. It can carry 7 or 8 fully-equipped troops. Engine is located at the rear. Vehicle has a central tyre inflation system. The new North Korean armored personnel carrier is fully amphibious. On water it is propelled by a single waterjet. Also there is a 6x6 version of this armored personnel carrier. It is also in service with the North Korean army and is being produced in quantity. It has similar layout and is fitted with the same turret. Some sources claim that this 6x6 vehicle is also used for reconnaissance. Patria AMV (Armored Modular Vehicle) was briefly mentioned before. "The Patria AMV (Armored Modular Vehicle) is an 8×8 multi-role military vehicle produced by the Finnish defence industry company Patria. 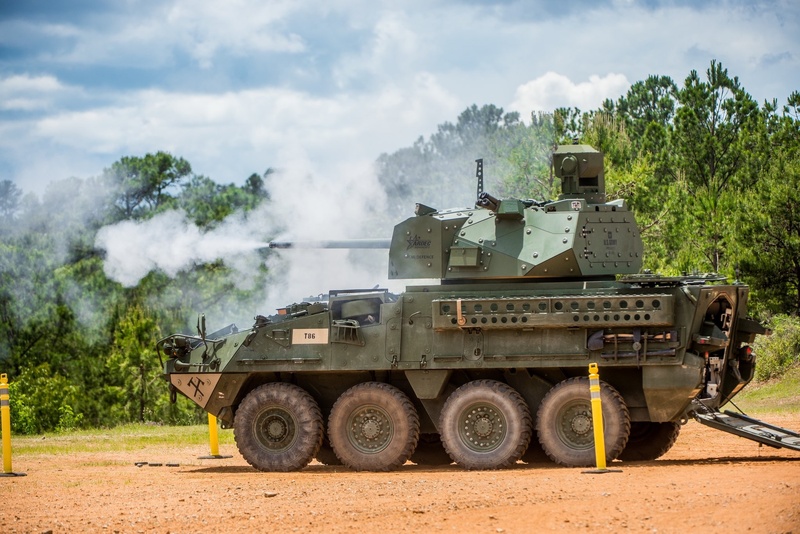 The main feature of the AMV is its modular design, which allows the incorporation of different turrets, weapons, sensors, or communications systems on the same carriage. Designs exist for different APC vehicles (armoured personnel carrier) and IFV versions (infantry fighting vehicle), communications versions, ambulances and different fire support versions, armed with large caliber mortar and gun systems. The vehicle has a very good level of mine protection and can withstand explosions of up to 10 kilograms (22 lb) TNT. The AMV has protection levels up to 30 mm APFSDS frontal arc. Another important feature is the very good mobility (combining speed, agility, and crew comfort) in rough terrain, enabled by the sophisticated The Patria AMV (Armored Modular Vehicle) is an 8×8 multi-role military vehicle produced by the Finnish defence industry company Patria. The main feature of the AMV is its modular design, which allows the incorporation of different turrets, weapons, sensors, or communications systems on the same carriage. Designs exist for different APC vehicles (armoured personnel carrier) and IFV versions (infantry fighting vehicle), communications versions, ambulances and different fire support versions, armed with large caliber mortar and gun systems. The vehicle has a very good level of mine protection and can withstand explosions of up to 10 kilograms (22 lb) TNT. The AMV has protection levels up to 30 mm APFSDS frontal arc. Another important feature is the very good mobility (combining speed, agility, and crew comfort) in rough terrain, enabled by the sophisticated but rugged hydraulic suspension adjusting each wheel individually." 1. 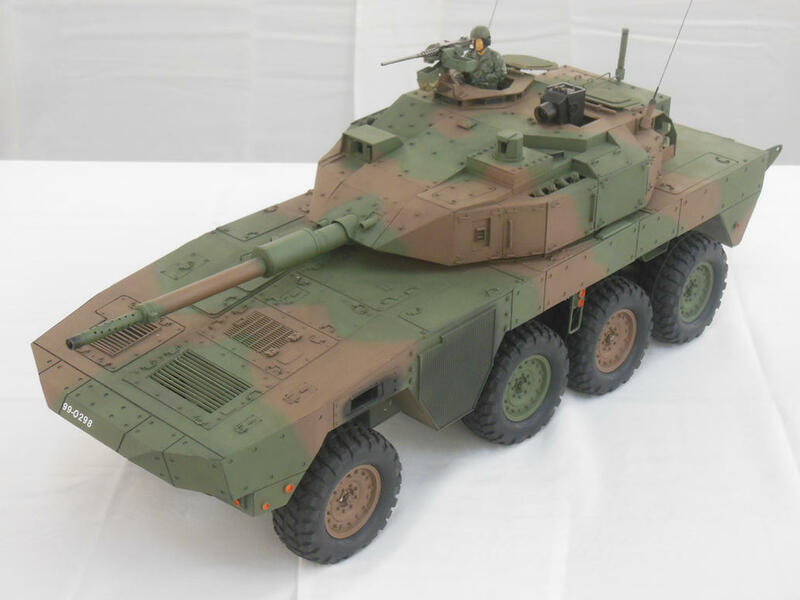 Basic model provides the platform for following variants: armoured personnel carrier (APC), infantry fighting vehicle (IFV), command vehicle, ambulance, reconnaissance vehicle, anti-tank guided missile vehicle (ATGM), armoured repair and recovery vehicle (ARRV), and finally, the 120 mm Patria Nemo mortar system. 2. High Roof Model provides extra space at the rear of the vehicle (34 cm higher than the basic model), which is ideal if the vehicle is used as a command, C4I, ambulance or workshop vehicle. 3. Heavy Weapon Platform has been optimised to carry large-calibre weapon systems such as the 120 mm AMOS mortar system or the 105/120 mm cannon (MGS). All previously mentioned 3 models and all their variants of AMV are available as 40 cm stretched vehicle." It was proposed for Australians as the Sentinel 2 for their armored reconnaissance and combat vehicle program. 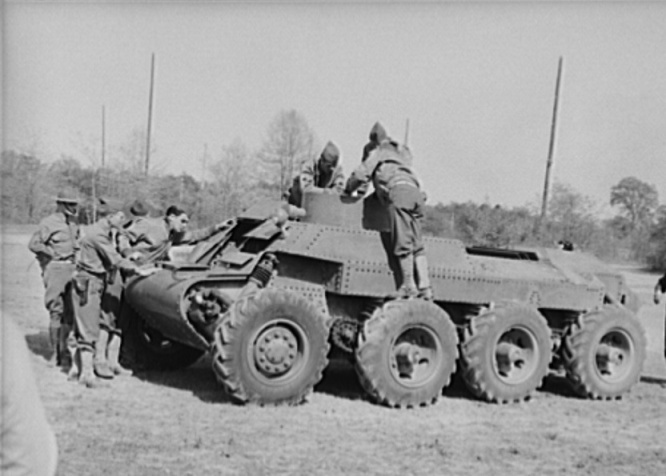 Though eventually this armored vehicle was shortlisted from the Australian program. The Patria vehicle also made it to the final round in the Australian Land 400 Ph2 competition but was beat by the Rhienmetall Boxer. I wish someone did a conversion kit of the Nemo system. Could use that on multiple builds. Chuck away the main armament. Kit instructions are not acceptable - let the imagination howl forth ! Lazar 3 from Serbia. 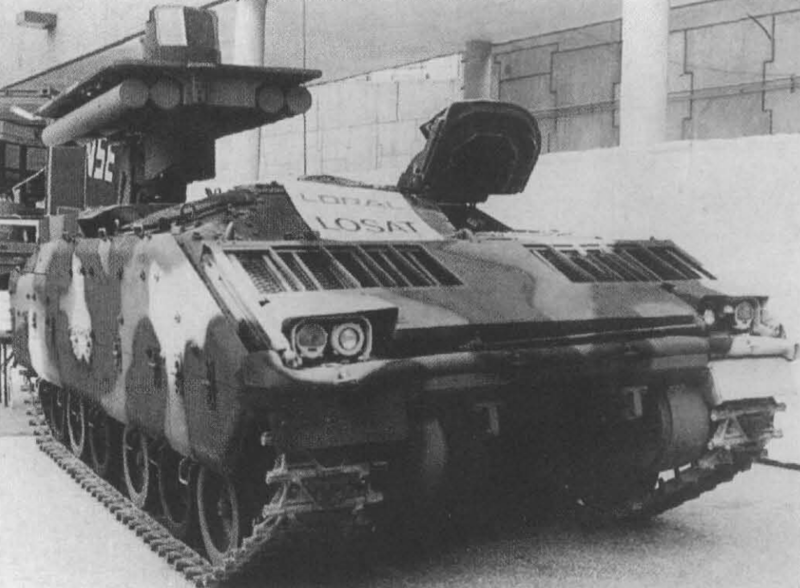 Development of Lazar 1 MRAP. 4th picture shows seating arrangement of each side. Sisu E13TP is a military terrain truck produced by the Finnish heavy vehicle producer Sisu Defence. The vehicle was introduced in 2005 and the first vehicles were delivered in 2007. E13TP is available in layouts 6×6 and 8×8. The stronger variant E15TP is with 10×10 layout. The primary military applications are hook loader, radar carrier, missile vehicle, recovery vehicle and bridging vehicle. Some civil applications are produced for oil fields and rescue purposes in particular. Hmmm...a kit of that could be interesting to play with. Rooikat re-armed with the same SWARM weapon station used on the Jordanian Temsah IFV. 1 x M621 20mm autocannon and 1 x quad Ingwe missile launcher. 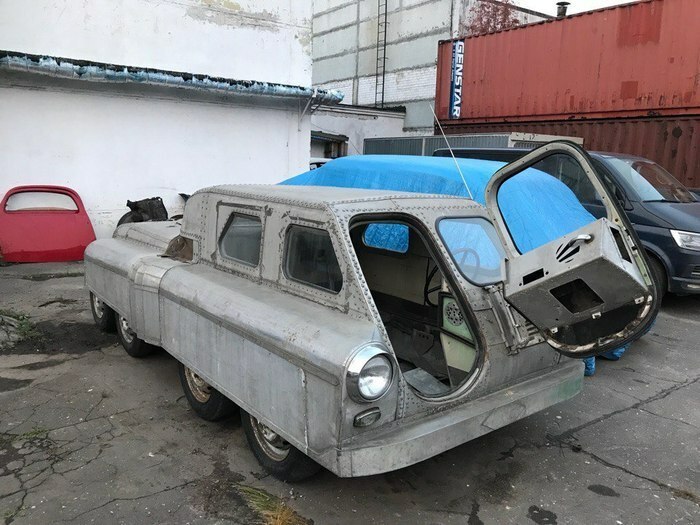 A user of Russian social network VK has discovered an eight-wheel Amphibious All-Terrain Vehicle (AATV), created in the 1950s by the Design Bureau of the Chelyabinsk tractor hydraulics plant, Russia media reported. Weighing in at 600kg, the AATV has compact dimensions (with a length of 4530mm, a width of 1900mm and a height of 1490mm), an aluminum chassis and all-wheel drive. The design makes use of parts from the GAZ-M20 “Pobeda”. 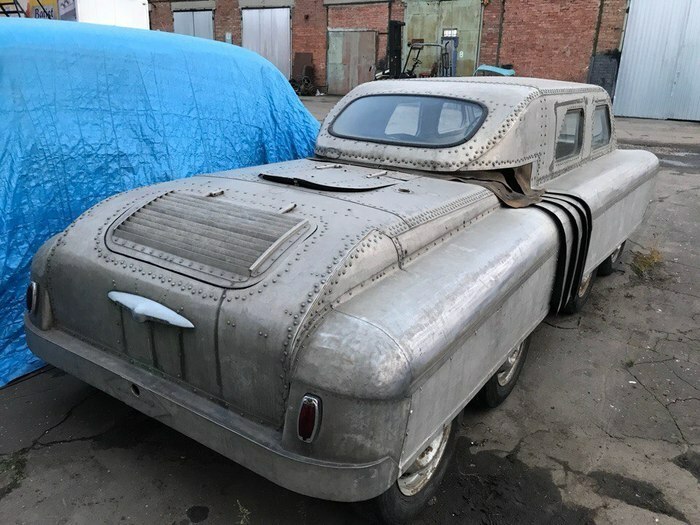 The new owner is now trying to clarify further details of the vehicle’s history. 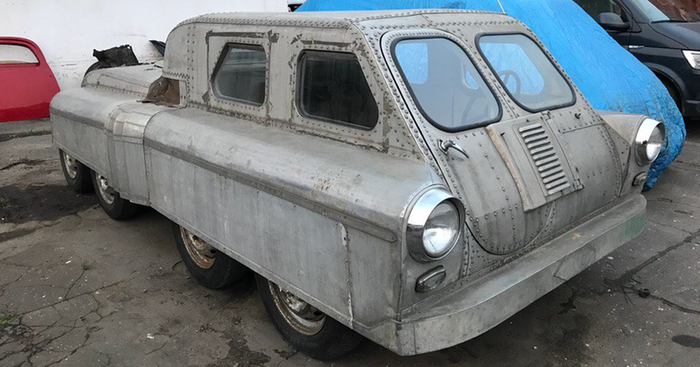 One of the users of "VKontakte" has acquired a unique design, created more than half a century ago by the Hydraulics Design Bureau of the Chelyabinsk Tractor Plant. 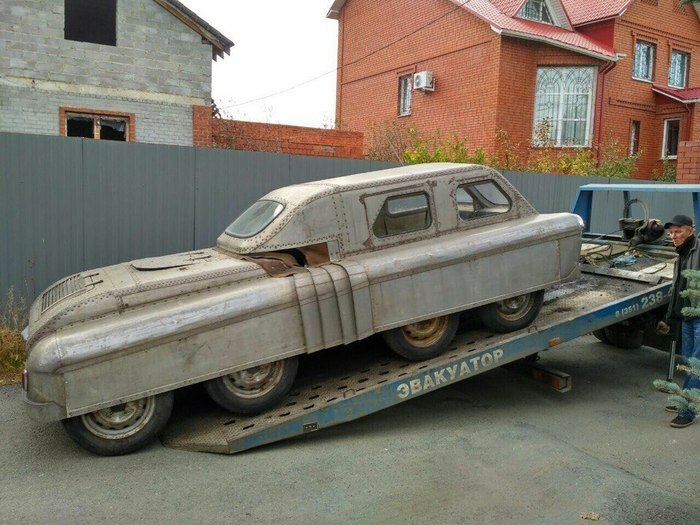 As Ivan Ivanov assumes, the newly-made owner of the Chelyabinsk Krakozyabra, this all-terrain vehicle is designed by Maxim Nikolaevich Melnichenko, the ChTZ designer who was the head of the hydrostatic drive group of the tractor GSK ChTZ. Approximate years of construction of the machine - 1950-1951. According to the available data (which has yet to be confirmed), the authors worked on an unusual project in an initiative, privately, but the design and creation of the prototype were carried out professionally, by the whole team of the ChTZ hydraulics design bureau. 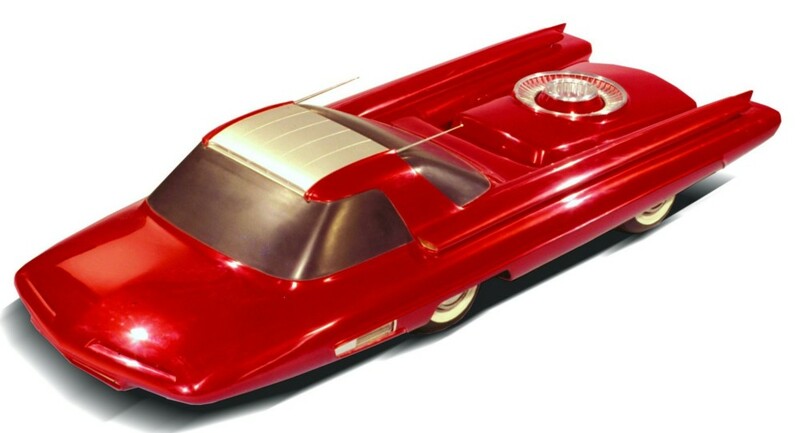 The eight-wheel car of a futuristic look has rather compact dimensions (length - 4530 mm, width - 1900 mm, height - 1490 mm), articulated design and a riveted aluminum body. Curb weight - about 600 kg, wheel formula - 8x8. It is curious that the all-wheel drive system is made according to the hydrostatic scheme, when the internal combustion engine rotates the hydraulic pump, and that results in eight (!) Hydraulic motors - one on each wheel. All wheels have a swap system, plus for each pair of thrusters you can pull the track. The design is widely used units GAZ-M20 "Victory". Actually, it was planned to take the engine from Pobeda, but for unknown reasons, the engine was not installed on the car. Now the new owner is trying to figure out the detailed history of the creation of this all-terrain vehicle.